Some briefs just excite you cause they resonate with the core ideology of your own organisation. 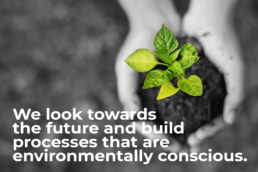 Sustainability and giving back to society have always remained a way of life for us as an organisation. So, when we got a brief to design the social logos for the most popular brands for the House of Anita Dongre, we were thrilled! 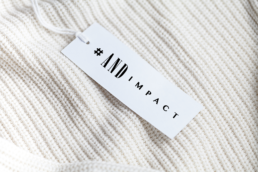 ‘AND’, a brand from Anita Dongre, works towards Sustainable clothing, celebrating stories of women working towards a better future under the programme AND IMPACT. 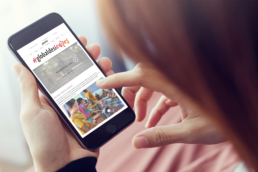 The brief was to create a logo for AND IMPACT, that would translate the value of the programme across the suitable platforms and sensitize its consumers toward the conscious choice. 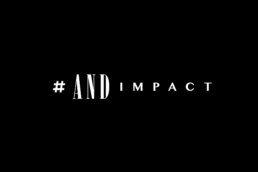 AND as a brand is targeted towards young, goal driven women looking for contemporary wear. 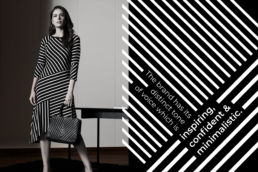 The brand has its distinct tone of voice which is inspiring, confident & minimalistic. While keeping the core of the brand intact we had to bring out the impact it was leaving through the programmes run for the women empowerment and use of sustainable fabrics like lyocell and recycled polyester. To resonate with the brand’s minimalistic character we’ve used a typographical play to bring out the right weightage to IMPACT along with AND. A stout, san serif font with distinct characteristics was juxtaposed against the minimal tall type of AND. Visual design is more about the negative space that allows one’s eye to flow around the forms than the forms itself. This principle was used rightly to create an identity that deemed fit the parent brand well. #GlobalDesiCares which will be used to talk about the brand’s efforts to create a better tomorrow. 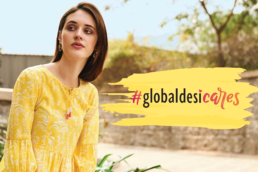 Global Desi care has set up Community Tailoring Units in rural Maharashtra, India wherein marginalized and needy tribal women are trained professionally to make garments. The positive socio-economic impact and the spirit of the independent women became the core thought for the #GlobalDesiCares logo. We chose a type that matched the free-spirited and colourful lives of women. The heart symbolises the passion of the brand and the women behind it and is used as a metaphor to the bindi sported by the rural women behind the brand.  We are an independent Strategic Branding Agency based in Mumbai. 302, Sheetal Enclave, Mindspace, Chincholi Bunder, Malad West , Mumbai – 400 064.